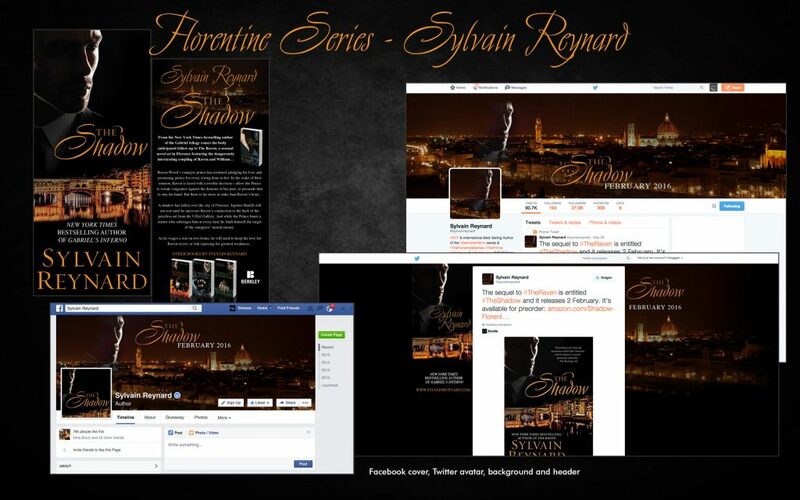 The brilliantly written romance novels by New York Times Bestselling author Sylvain Reynard are a hit and his new series, the Florentine Series will be as well I’m sure.  He needed new material for twitter, facebook and book promotion material like bookmarks, cards etcetera and I LOVED making these! 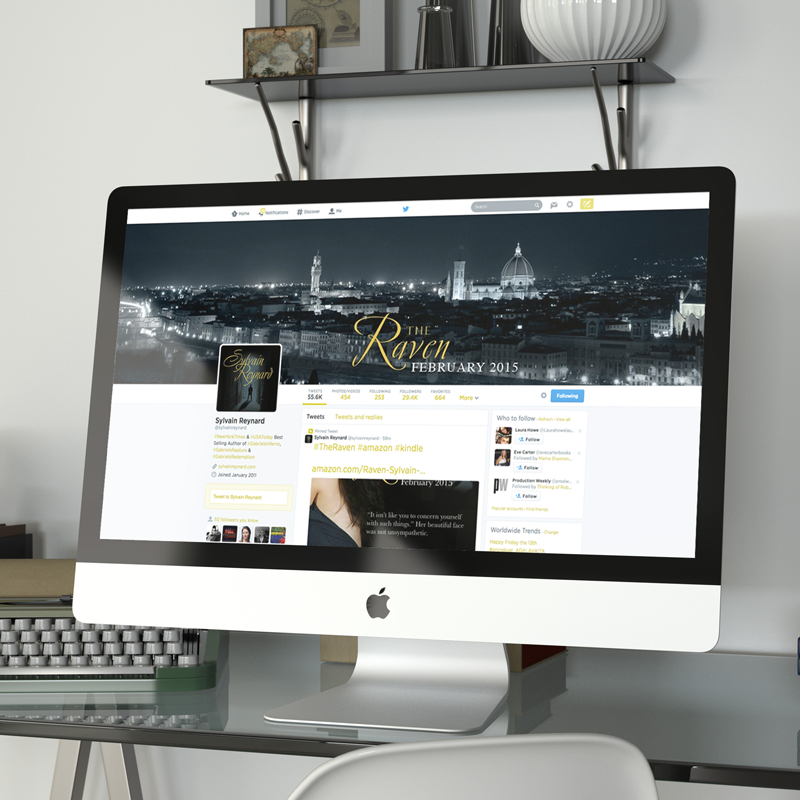 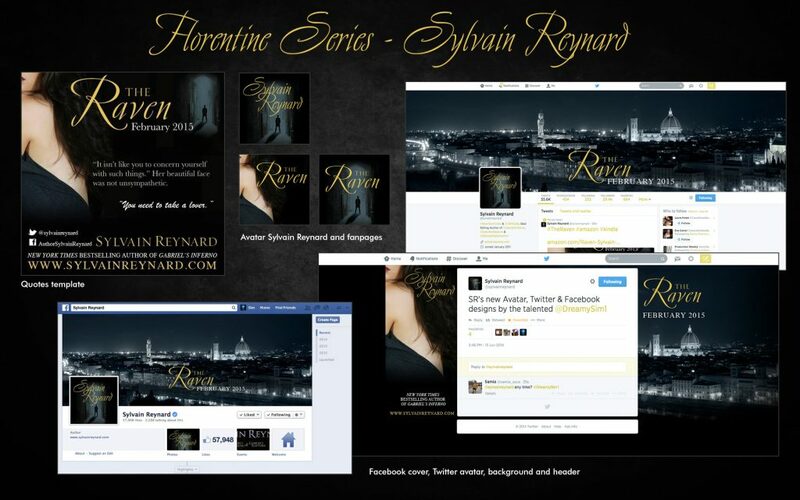 I got the request via Nina Bocci to design banners, quote templates, avatars and backgrounds for Sylvain Reynards new book series, The Florentine Series, starting with the book The Raven, which is coming out in februari 2015.